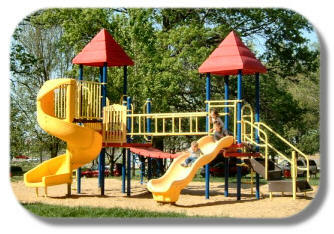 Vandalia is blessed with an abundance of beautiful parks. Six separate park areas totaling 60 acres are under the management of the Vandalia Park District. Nestled throughout our scenic parks, you can find picnic tables, pavilions, grills, swings, slides, a swimming pool, two baseball diamonds, five softball diamonds, two sand volleyball courts, two soccer fields, three tennis courts and the Evans Youth Center. Through the efforts of numerous organizations and agencies, the City of Vandalia constructed a scenic walking path through several of our major parks in 2001. 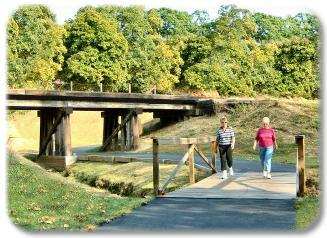 The Lincoln Walking Trail is approximately one mile in length and is used extensively on a daily basis. The Vandalia Public Swimming Pool offers a cool getaway for local residents and tourists during the warm summer months. Pool activities include swimming lessons, lifeguard training, aqua aerobics, parent-tot swimming and Wednesday morning free swimming.